Christmas is just two days away... and Santa Claus & Roger Goodell have brought all of us one heck of a present. This year, NFL's oldest rivaly resumes when the Chicago Bears visit Lambeau Field to take on the Green Bay Packers. As a Packers fan, it's simple. They need to win, so they can wrap up home field advantage and allow some of their wounded players an opportunity to heal. But it's the season of giving, so I'm going to stop thinking about myself and honor the Chicago Bears & their fans by flashing back to the 90's & showing off some Bears. Beanie Baby Bears to be exact. If you were born in the 90's or earlier... then you know what I'm talking about. And if by chance, you don't... then just be thankful. In honor of Coach Lovie Smith... I give you Valentino for reasons that should be obvious. In honor of former Chicago Bears Chairman of the Board, Michael McCaskey... I give you Peace. McCaskey served in the Peace Corps from 1965 to 1967. In honor of Hall of Fame running back, Walter Payton... I give you Princess. Payton's jersey was worn by Fred Savage in The Princess Bride (thank you Google for helping me out with this connection). I considered honoring Jay Cutler... but that's not my style. Actually... as I wrap up this post, I should clarify something... 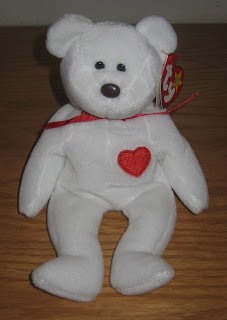 I DON'T COLLECT BEANIE BABIES... seriously... you have to believe me. 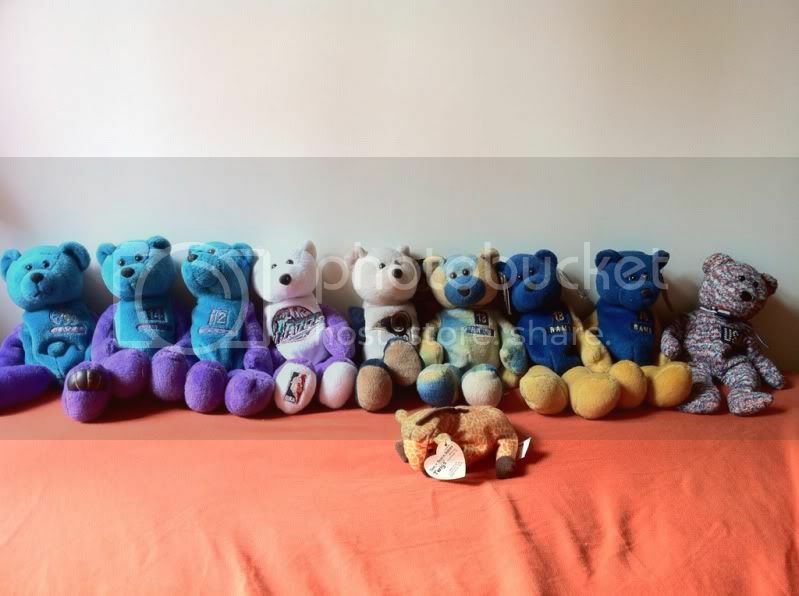 I purchased these three bears for $3 from a buddy who was dumping them. He had hundreds to choose from, but these three stood out... because they're bears. 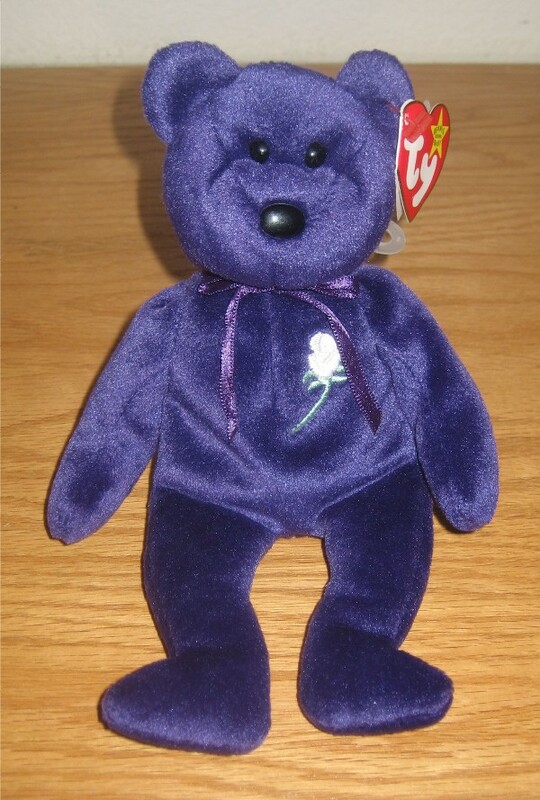 And back in the 90's... bears seemed to be really popular. I'll most likely end up handing them over to my Mom's collection. And if she doesn't want them... then I'm sure one of my students will find a good home for them. It was a gift from one of my best friends and holds a lot of sentimental value. 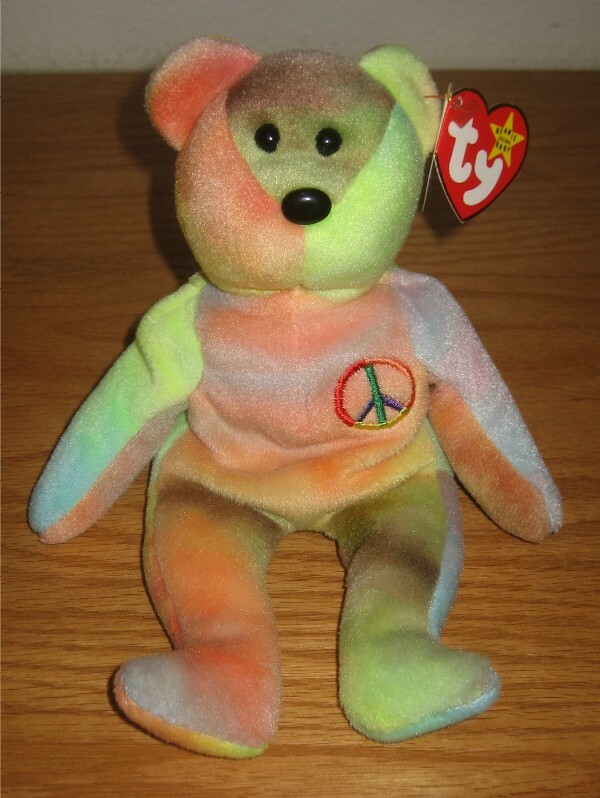 Did you ever buy into the Beanie Baby insanity? C'mon... be honest. You can trust me... 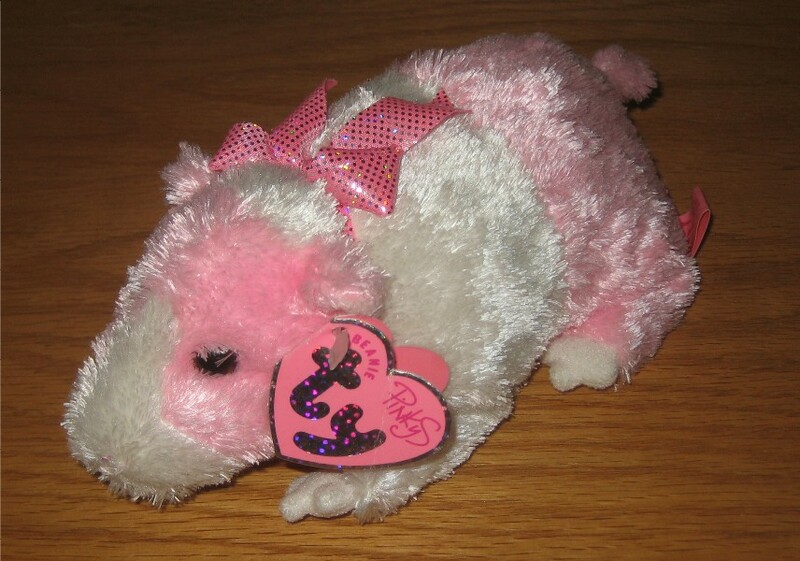 I own a pink guinea pig Beanie Baby, named Rosa. Do I really have any right to judge? LOL. Happy Holidays everyone... TGIF... and sayonara! They are NOT TY beanies, except the one in far right 'USA' and the teenie beanie 'TWIG' in front. They are from Limited Treasures, if I remember correctly, they borrowed the idea from TY and produced sports related beanies around 1998-99. I think the Happy Meals ones were Teenie Beanie Babies, they are smaller. gladdyontherise - When I started teaching... I had to supplement my income by working at a card shop. The owner had me buy a bunch of these everyday. As soon as McDonald's retired the promotion (a few weeks later), we'd put these in our cases for $10 to 15 a piece and they'd sell. Those were the good old days. moosejaw00 - I remember the sports bears from back then... we used to sell ones called Bambino Bears. It insane how little these sell for today... let's hope they're like yo yo's & skateboards and become trendy sometime in the near future.